Want to know more about Poker in Australia? As everyone knows, gambling rates in Australia are among (if not, the) highest in the world and four in five adults enjoy some form of wagering. Poker has a polarised reputation with glamour in the casino and hardened drinking poker nights at home with chips and dips. The truth about Australia’s love affair with the game of poker lies somewhere in between. Sure, you can catch a game at the casinos or host an event with your buddies over a few cold ones but poker can be both a serious business for professional players as well as a great opportunity to win big bucks for casual gamblers. In this guide, we take a look at the popularity of poker in Australia and where you can play the game, state-by-state as well as online. 1.2 Is Playing Poker Legal? The saying goes that Australians would bet on two flies crawling up a wall and the nation does have the highest rate gambling in the world. More than 80% of the adult population enjoy some form of gambling; from casinos to sports betting, playing the pokies to taking a punt on the lotto. Poker in Australia is a relatively new game but how did it get so popular? Poker enjoys a popularity in Australia that is unrivalled by other forms of gambling, largely due to the game’s combination of luck and skill. Of course, huge jackpots and prestigious tournaments have also helped project a glamorous edge to the proceedings. But how did poker evolve in Australia, is it legal and why are there so many variations of the game? The origins of Poker can be traced to Europe with the 16th century Spanish card game of Primero which was adapted in both France (Poque) and Germany (Pochen). Primero was a three-card game, played with forty cards in which players gambled on getting the highest hand with bluffing being a key element. French settlers brought the game of Poque to the United States where it flourished in Franco areas like New Orleans. The first anglicised version of poker has been dated to the early 19th cenury when English speaking settlers moved to the area after the Louisiana Purchase of 1803. Poque became Poker and began to exhibit similarities to the modern game; poker became a five-card game by 1834 with the addition of a 52-card deck. Poker spread from the Southern states along with migration of settlers and transportation of goods to the West. By the late 19th century, Poker was a key feature in the saloons of the frontier settlements. It’s hard to imagine the wild west without a poker game in the saloon. Image via Wikimedia. Around the same time, in 1871, the game was brought back to its original home in Europe. The story goes that Queen Victoria overhead the U.S. Minister for Great Britain explaining the rules to court officials and insisted on him teaching her the game. It would be several decades before the game really took off in Europe and Australia when U.S. soldiers were stationed abroad during World War I, taking Poker truly global. Further extended stays during the Second World War cemented the game’s popularity in Australia and by the 1960s Poker was a staple diet of table card games. However, it wasn’t until the first casino opened in 1973 in Hobart, Tasmania that poker found a legitimate home in the country. With other states following suit in the 1980s and 1990s, casinos offered a natural home for poker tournaments and casual gaming. The popular variant, Texas Hold’Em was first introduced to Adelaide in the 1990s. At the same time, poker leagues were cropping up in pubs and clubs offering more regular players the chance to take part in cumulative competitions. However, it was events like the World Series of Poker (WSOP) that kicked off the trend of professional poker play. The first Australian to win the Main Event of the WSOP was Joe Hachem in 2005. At the time, his $7.5 million win was a record-breaker as the world’s biggest tournament prize. In 2012 Australia became home to the World Series of Poker Asia-Pacific (WSOP APAC) when The Crown Casino, Melbourne and WSOP announced the creation of this new circuit. With the rise of the internet, online poker became more popular in the 21st century with sites like PokerStars, 888.com and PartyPoker offering greater cash prizes and with the convenience of paying in your own home. The WSOP Main Event has a prize pool of US$64 million. Image via Wikimedia. Playing poker for cash at a land based venue in Australia is 100% legal as long as players are over the age of 18. When it comes to online poker, the situation is a little less clear cut. Traditionalists and poker purists have all denounced the rise of online poker claiming it eliminates one of the key elements of a player’s skill in reading other players. However, it is detractors of another kind which have led to a change in this popular format of playing the game. Concerned by the high rate of online gambling, the federal government introduced the Interactive Gaming Act in 2001. Designed to restrict the availability of websites offering cash gambling, the legislation effectively criminalises off-shore websites who provide online gaming services to Australians. Initially, this Act did not cover poker but an amendment which was enshrined in law in August 2017 now bans international sites from offering poker in Australia. This means that compliance of the law falls squarely on the shoulders of the website operators and not the individual. In reality, if you can access a website outside of Australia that hosts poker from your ISP then there is no breach of the law on your part. Many players already used a VPN to play online sites in order to protect their privacy and it is becoming a standard way for determined players to continue using sites they frequented before the ban. In addition, the rise in crypto currencies like the Bitcoin have also made it possible to continue gaming through international sites. Playing online poker in Australia is a popular way to gamble but is it legal? Image via Wikimedia. Draw poker is a variant of the game where each player is dealt a full hand before the first round of betting. Players then replace cards via draws. In casino play, the leading play is usually via the blinds system but in league play tends to go from the dealers left. This form of poker refers to any game which has a shared or community based card(s). Also known as window cards, the most common variant of the game is Texas Hold’Em where two private cards are dealt to each player, followed by three community cards (the flop) and two secondary cards, known as the ‘turn’ (or ‘4th street’) and ‘river’ or (5th street). Community card games like Texas Hold’Em and Omaha have become the number one variant of poker in Australia. Image via Wikimedia. Community card games offer more of a skill advantage by predicting the ultimate combination of outcomes based on the visible cards that are shared with the rest of the players. The most common of this variety of game is Texas Hold’Em. Novelty games include any variant of Poker which doesn’t conform to the above three formats. Most often, these are regional styles of poker and include baseball and Indian as well as many other casual game styles. As well as dozens of variants of the game you can mix it up with betting structure, hand ranking and table sizes. Image via Pixabay. There are plenty of places to play Poker in Australia at land-based casinos, pub league games and at social clubs. Legislation designed to curb gambling in the state means there is only one venue in the ACT where you can play cash Poker and that’s the Casino Canberra. The primary venue for hosting cash poker games, the Casino Canberra has a dedicated poker lounge, the Poker Zone. Games are available from 7.00pm to 4.00am daily and the room comes with a video wall showing live sports. The casino has the monopoly on poker in the ACT. Image via Casino Canberra. The casino runs several weekly tournaments with its Star Poker club and include turbo, deep stack and deal-in competitions. There are 40 tables at the Star poker room. Image via Star Casino Sydney. A members only club, you can find poker tournaments and regular cash games at Bossley Park. With a few venues in the city and cash games on different nights, the Sydney Texas Hold ‘Em Poker League (STP) offers regular opportunities to play in the city. Running cash games from 6.00pm, Wednesday to Sunday Sky City is the home of regular poker in Darwin. Games are mostly Caribbean Stud or Texas Hold’Em. The Poker Zone at Darwin’s Sky City Casino holds regular tournaments. Image via Sky City Darwin Facebook. Darwin mainly has APL league poker games, but you can catch regular buy-ins at the following venues. The zone is open from 10.00am every day and closing late depending on demand. Tournaments run regularly as well as cash games. The Treasury Casino has a good range of cash games as well as regular tournaments. Image via Wikimedia. The Star Gold Coast runs cash games daily from midday with a No Limit Texas Hold’Em format. There are private gaming facilities but standard tables run with minimum buy-ins of $100, $200 and $500. They also run tournaments, details of which can be found on the website. Right in the heart of Broadbeach Island, poker at the Star Gold Coast is popular with tourists. Image via Flickr. The Sky City casino has a Poker Zone with a range of cash games and tournaments. Game variants are Texas Hold’Em and Omaha. The Adelaide Casino is regarded by some as the home of poker in Australia. Matchroom Poker is a members only club situated in the heart of the city. A serious poker players club, events are held on Friday nights and Saturday afternoons. Seats need to be booked in advance with reception. Tournaments are held regularly throughout the year; check the website for details. Wrest Point Casino is home to Hobart’s poker tournaments. Image via Wikimedia. There are fifty poker tables at the Crown as well as private gaming rooms. 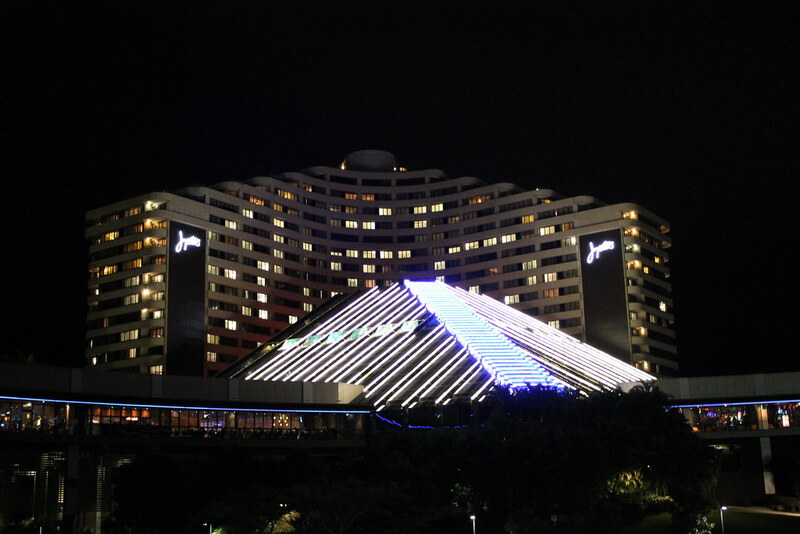 The venue also hosts regular tournaments including the popular Aussie Millions. Crown Poker is available for cash games 24 hours a day, seven days a week and are mainly Texas Hold’Em or Omaha style. The Poker Room at The Crown is the largest in the Southern Hemisphere. Image via Crown Poker. There are just 12 poker tables at the Crown but there are private gaming and VIP options available which are suitable for high-rollers. As well as cash games (Texas Hold’Em) the Crown runs regular tournaments. Not the largest poker zone in Oz but the Crown, Perth has live cash games and weekly tournaments. Image via website. As well as many of the national leagues, Perth has its own league, aptly named the Perth Poker League (PPP). As well as land based cash games and tournaments you can play online poker at a variety of sites. Although the Interactive Gaming Act 2001 prevents off-shore operators from offering their services, it is still possible to access them without any offence committed on behalf of the individual (see ‘Is Playing Poker Legal?’, above). It is worth noting that some of these sites do not accept AUD accounts, in which case you will need to do your research on the best currencies to open an account with. Some players prefer to use USD whilst others are exploring the use of the cryptocurrency, Bitcoin. Our pick of the best online poker sites for Australians offer a good combination of great game play, good cash pots and accessibility for Oz players. Better known for its sportsbook, BetOnline attracts a lot of US players and is in the top five poker sites in America. Founded in 2004, BetOnline has a wide range of deposit options and attractive sign-up incentives. The site has gained a reputation for its fast cash payouts and is popular for the diversity of players. As a sportsbook site, there are quite a lot of amateur gamblers online who are considered rich pickings for professional players. Cash games and tournaments are good with a guaranteed $100k each weekend. You can’t play poker via a mobile and the software client you download isn’t the most slick you can find but its worth sticking with. One of the best places to play poker online wherever you are in the world, Black Chip Poker has a great range of poker variants, multi-table play and two types of sit and go play. There’s a good variety of players attracted to the site which can make games really challenging but, ultimately, more rewarding. The Million Dollar Sunday event occurs every few months and offers a guaranteed US$1 million. The only downside to the site is the fact you can only play on Windows with Mac and mobile not supported. Ignition launched its poker services into Oz in July 2017 but has been operating since 2004. Ignition is already a popular site with Aussies due to its size, range of tables and huge cash tournaments. You can even play up to 20 tables simultaneously. Another popular feature is anonymity which gives all players a more level playing field. There are some good sign up bonuses and you can play via mobile or PC/Mac download. However, you can’t play multi-table tournaments or sit and gos from the mobile site. The main currency is the Bitcoin/Bitcoin Cash but you can also use credit cards to fund your balance. Known for its sportsbook rather than its casino games, Intertops Poker has a good offering of cash games and tournaments. There are fewer sit and gos than some other sites and the buy-ins may be too low for some. Deposit options are more varied and you can fund with Skrill, Neteller and Bitcoin. There are also some great welcome bonuses and regular promotions to reward loyalty. Play is through a download client for PC or via your mobile device. ‘Wild since ‘99’, Tiger Gaming is a trusted online poker site that provides sports betting and casino games including poker. As a non-specific gaming site the extra traffic generated from the casino trade does provide some loose tables which can be rich pickings. However it is the tournaments which make this site worth bookmarking. With big cash games and plenty of action whatever the time, Tiger Gaming offers some good sign-up incentives. The site is part of the Chico Poker Network which is the 3rd largest cardroom for American players opening up a good range of competition for regular players. Still accessible in Australia, you can play poker with Tiger Gaming on PC, Mac and mobile.